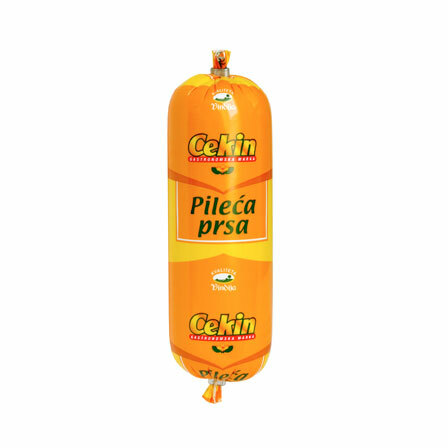 Cekin processed chicken products are made for a light and delicious snack. 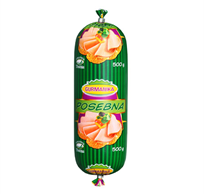 Fresh chicken salami is rich in proteins and the minimal fat content enables you to indulge in your favourite sandwich without guilt. 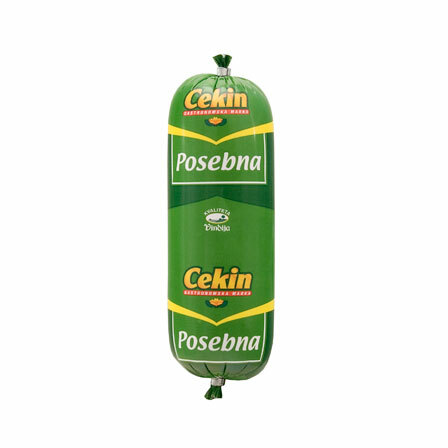 Then there are delicious hot dogs, with their delicate colour and mild taste, suitable for various creations – from salads to hot dog sandwiches. 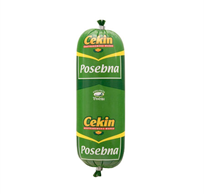 And with our excellent patés and luncheon meats, before you say 'Cekin', you'll forget you were even hungry! 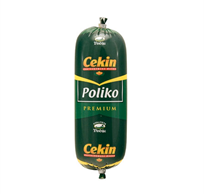 Poliko Premium is made from the finest parts of fresh chicken meat with a larger percentage of chicken breast, with the supreme taste guaranteed by the carefully selected spice mixture. 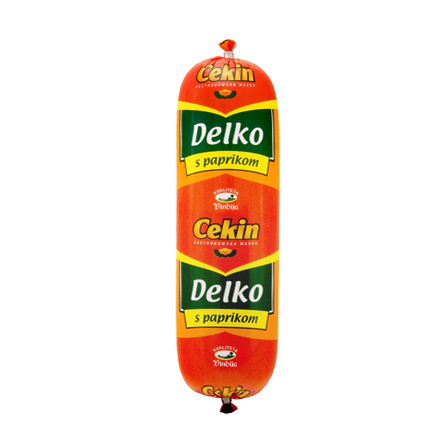 Delko is a product made from fresh chicken meat with various additions, such as button mushrooms, olives and peppers. 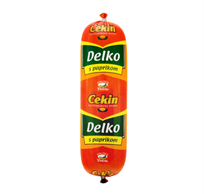 Due to its attractive mosaic-like structure, Delko sausage is an irresistible ingredient of cold meat platters, salads and spicy sandwiches. The extraordinary taste and quality of Cekin chicken is even further emphasized in the smoked variety of chicken breast. 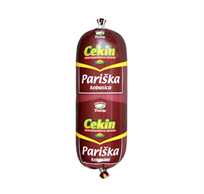 The least percentage of fats in the Cekin processed meats group and a high ratio of proteins make Dimcek a delicious and healthy product that every gourmand could only wish for. 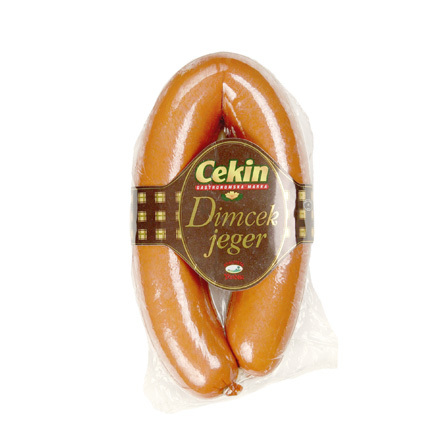 We also offer Dimcek jäger (hunter’s sausage), produced and packed as a traditional meat specialty. So special - So fine! 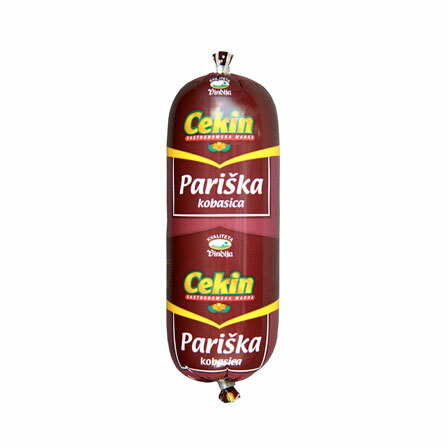 By carefully selecting the meat and spices, we created Cekin special sausage, recognized by its specific flavour and high protein value. 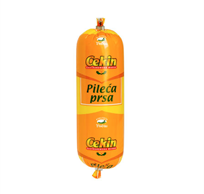 This product is the fruit of the development of modern technology and applying the latest findings regarding sausage specialties, which in turn, resulted in a sausage of the highest quality. The best of chicken meat - Just for you! With only 1% fat, low energetic value and an exceptionally high percentage of proteins, chicken breast in a wrapper is essential for every healthy, weight loss or sports diet. 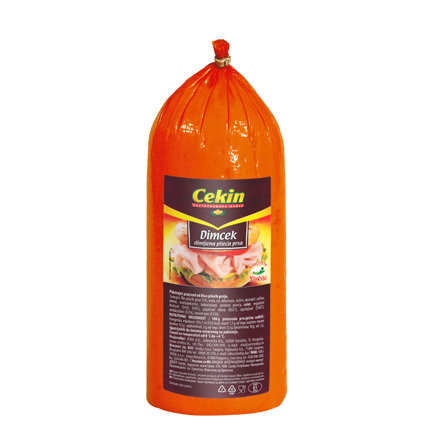 Made from the finest portions of fresh Cekin chicken, its exceptionally mild flavour positions it as an ideal food for children and grown-ups who are determined to nurture healthy eating habits. 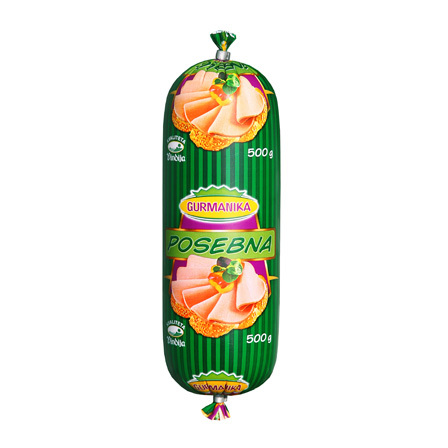 The irresistible flavour of light chicken and excellent Vindija’s cheese will enrich every bread roll and certainly thrill your palate. 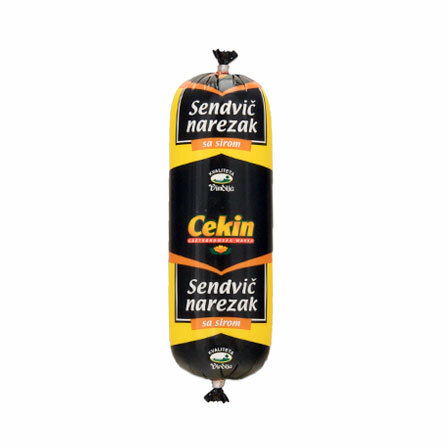 The cheese cubes remain in shape whilst being cut, and the blend with healthy chicken creates an especially delicious taste of this high quality sandwich sausage. 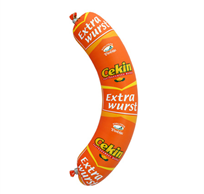 This unique delicacy that equally fits well into a quick meal and a rich platter of cold meats is part of the traditional Austrian dry meat specialties. 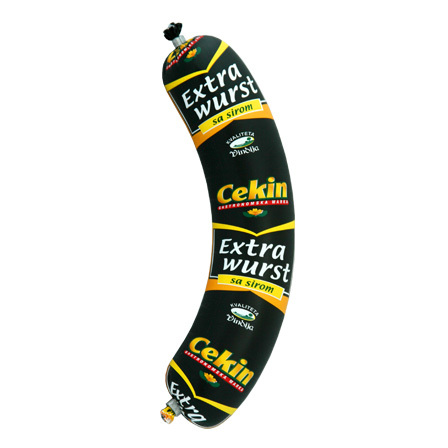 Honouring that tradition, we have produced our own Extrawurst, a sausage of excellent taste and fine structure that will certainly enrich your snack. 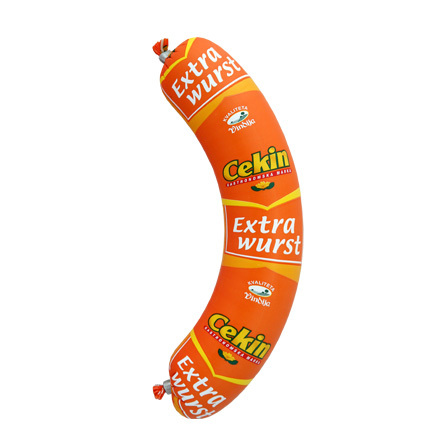 Beside the standard edition, all those who love a good Extrawurst can also enjoy in Extrawurst with cheese.